This option is using the Refyn search API without using the WordPress Refyn plugin. 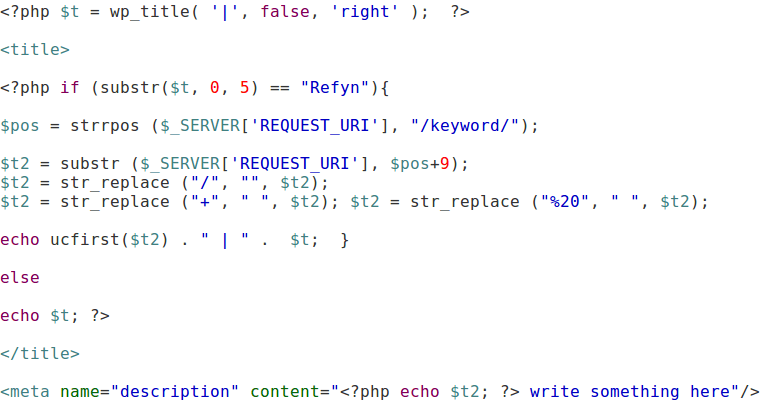 This works by customizing the search.php file which takes over /?s= with Refyn program as soon as its not found by the default WordPress search. When using Refyn this way you loose some features such as autocomplete. 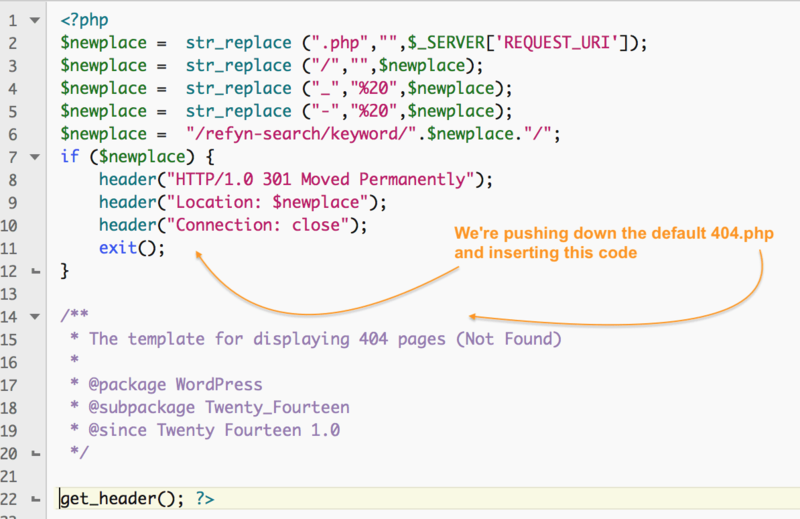 The following are snapshots of a reconstructed search.php file. For full file click here >>. To use the Refyn search without Refyn widget and without popup window. Simply don’t use the Refyn widget in your theme. 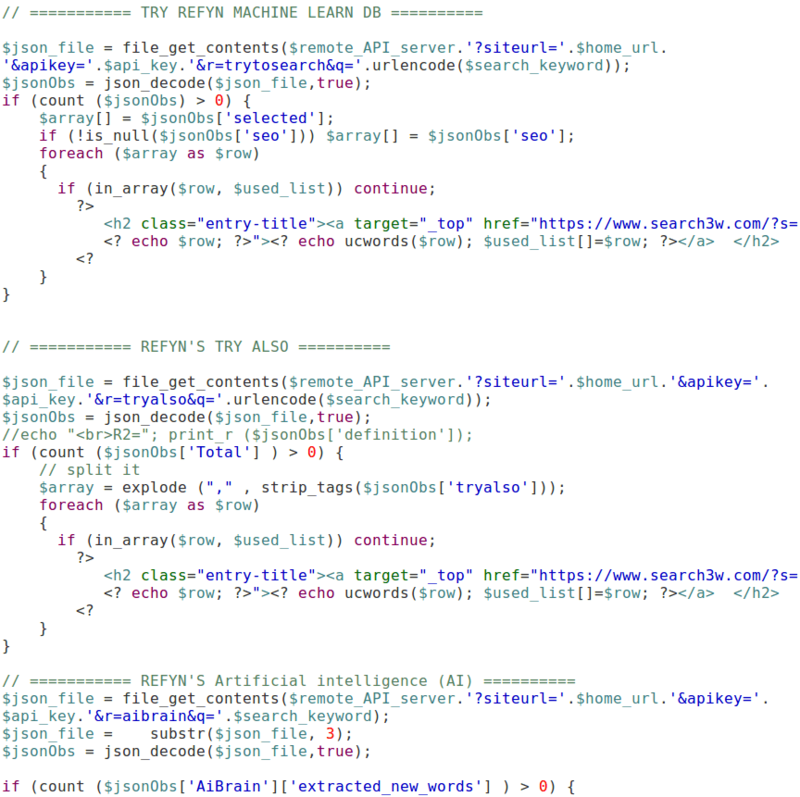 To do this, install the Refyn plugin to WordPress regularly. 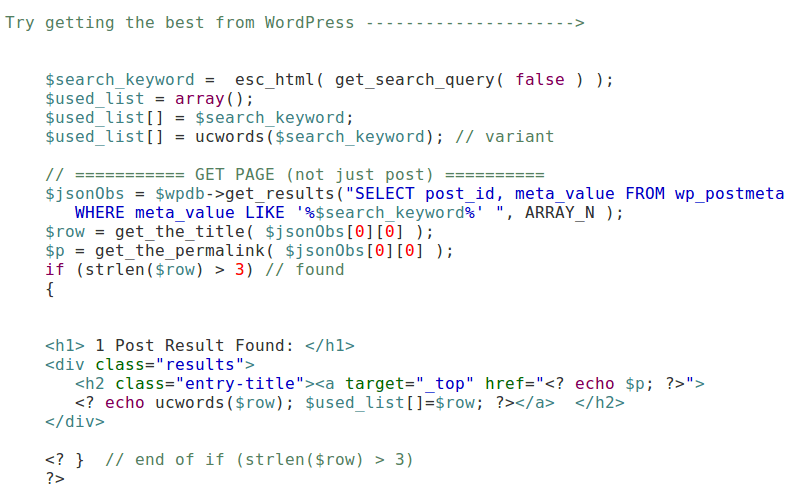 This will use the default WordPress search-box or your custom one. It will work automatically just try searching in your search box now something which is not in the pages/posts. 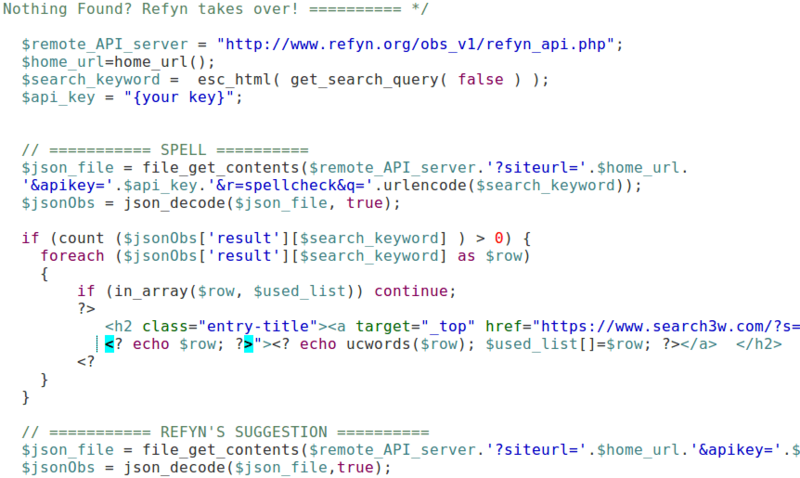 Refyn will override the search.php file taking over /?s= then implementing all Refyn functionality. When using Refyn this way you loose some features such as autocomplete. No more 404 page not found errors with Refyn search! Refyn will parse the referrer URI and redirect the mistaken page to a related page or product.